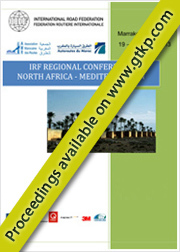 We are pleased to provide you with our June edition of the IRF e-Newsletter. And we have plenty of news to share with you! 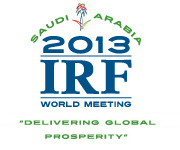 IRF was represented by IRF Office Bearers and members of the Executive Committee on several international occasions over the past months, such as the 7th IRU Euro-Asian Road Transport Conference in Amman, Jordan, the India Infrastructure Show and the 2013 International Transport Forum in Leipzig. We are especially pleased that IRF Geneva’s collaboration in the OECD/ITF Taskforce on Measuring Transport Infrastructure Spending and Assets has resulted in the publication of guidelines for macro-level measurement of spending and assets. Furthermore, the ITS Policy committee convened in Brussels end of April to discuss ways to address Key performance indicators for ITS policy. IRF Geneva has been particularly active in enabling online learning opportunities for road sector professionals. It organised a second successful webinar on the World Road Statistics on 6 June 2013, explaining basic methodologies and techniques to use the data. Should you have missed out on it, you can still register and listen to the recorded webinar at your convenience. Furthermore, IRF launched the Environmental Management & Urban Design online learning tool, developed by the New Zealand Transport Agency. The course, consisting of six modules, provides insights on improving environmental sustainability as well as public health related to road projects in urban settings. Please visit the IRF webpage on Training & Services to learn more about this opportunity to extend your environmental knowledge from anywhere. Speaking of professional development opportunities, we are pleased to see that the Senior Roads Executive course 2013 edition took off this week at the University of Birmingham, United Kingdom, with an excellent line up of lecturers on Road Sector Reforms, Road Financing, Road Safety and Road Maintenance Management, and a record number of course participants. With all these activities IRF aims at bringing you value and inspiration. On behalf of the IRF Geneva team I wish you an enjoyable and informative read. On 12 & 13 June 2013, the International Road Transport Union (IRU) gathered Transport Ministers, representatives of international organisations and financial institutions at the occasion of the 7th IRU Euro-Asian Road Transport Conference, in Amman, Jordan. IRF Chairman Mr. Kiran K. Kapila was invited to participate in the deliberations on the promotion and further facilitation of trade and international road transport to drive economic growth, social stability and prosperity in the Arab world. Addressing the theme of investment and development opportunities for infrastructure operators, government, developers and investors, the India Infrastructure Show took place in New Delhi on 22 May 2013. Some 200+ delegates from the entire infrastructure value chain in India and beyond convened at the conference, which provided the opportunity to discuss partnerships and investment strategies for expanding and upgrading India’s road infrastructure. IRF was represented by its Vice-Chairman, Dr. Adnan Rahman, who delivered a keynote address on “Developing a Vision and Strategy to Deliver Urban Mobility in India”. IRF's Executive Committee Member and Chair of IRF Road Financing and Economics committee, Mrs. Vilrid Femoen, participated as a speaker in the side event “Understanding the Value of Transport Infrastructure” at the ITF annual summit 2013 in Leipzig, Germany, on 23 May 2013. Her presentation on “Using assessment data to support policy decisions - Case: Norway” stimulated considerable interest among the high level expert audience. IRF Geneva was invited to share its experience with the global Transport Knowledge Practice (gTKP) at the Expert Group Meeting on Road Maintenance and Management, organized by the United Nations Economic and Social Commission for Asia and the Pacific (UNESCAP) and the World Bank in Vietnam. The IRF Policy Committee on ITS, in collaboration with the European Union Road Federation (ERF), convened a meeting in Brussels on the 26th of April to discuss the way forward in supporting organisations to adopt proper ITS policy frameworks. The meeting was geared towards identifying stakeholders’ needs, creating a common understanding and identifying major Key Performance Indicators (KPIs) for ITS policies. It was also used to explore options for joining forces and for creating a platform of likeminded institutions, eventually providing inputs for an action plan. At the occasion of the International Transport Forum held on 22-24 May 2013 in Leipzig, OECD/ITF launched the publication of thereport “Understanding the Value of Transport Infrastructure - Guidelines for macro-level measurement of spending and assets”. The publication is compiled by the OECD/ITF Taskforce on Measuring Transport InfrastructureSpending and Assets, with the aim of demonstrating to decision makers how important the process of collecting, editing and updating data on transport infrastructure is, to improve decision-making. IRF's statistician, Dr. Cristian Gonzalez, participated in the elaboration and the panel discussions of experts for improving this report. IRF has actively responded to the stakeholders consultation launched by the European Commission as part of the revision process of the EU Green Public Procurement criteria for Road Construction and Traffic Signs. The IRF Environment Committee has been quite active on this crucial issue and has considerable experience and expertise to share. In its submission, IRF underlined the necessity to adopt a comprehensive approach by including road furniture in the product scope currently under revision. GPP offers an excellent opportunity to spur innovation often at no extra cost. IRF Geneva's Webinar on World Road Statistics for Beginners - Techniques and Methods took place on Thursday 6 June 2013. Participants from all over the world joined in the webinar to learn about the key messages and techniques. 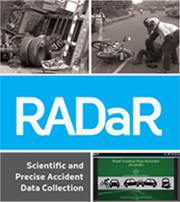 The Webinar addressed the core characteristics of the raw data that is brought together in the annual World Road Statisticsreport, which is one of IRF's flagship projects. Published since 1964, this publication remains the single comprehensive source of data for the international road, traffic and transport sectors. The IRF Road Financing & Economics committee, chaired by Mrs. Vilrid Femoen of the Norwegian Road Federation, will meet next in a virtual meeting on Friday 28 June. The meeting will be hosted online by means of internet conferencing. The objective of the meeting is to discuss preliminary outcomes of an IRF Global Road Financing Practices survey, held from November 2012 to March 2013. Two country studies based on the survey responses will be presented and discussed, as well as upcoming opportunities to engage in international activities and initiatives related to the theme of road financing. Join the IRF today! 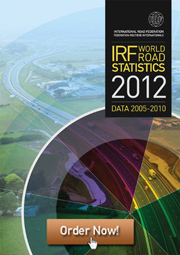 Take advantage of a whole range of services including a free copy of the IRF World Road Statistics (2012), other IRF publications and preferential registration rates for upcoming IRF events! © Copyright International Road Federation 2013. All rights reserved.